One of coolest Parallels® Mac Management for Microsoft® SCCM features is an ability to deliver macOS® and Apple® software updates and patches via integration with SCCM’s software update delivery features. Some Parallels Mac Management customers have been asking if the integration with SCCM supports the Automatic Deployment Rules (ADR). The answer is yes, Automatic Deployment Rules are supported. ADRs allow SCCM administrators to automate what products and severity they would like updates for; to download and approve updates; and to schedule when deployment should occur to the managed computers. In this blog post, I will describe how to create a SCCM Automatic Deployment Rule for delivering updates to the managed Mac® computers. Open SCCM Console and navigate to Software Library → Overview → Software Updates → Automatic Deployment Rules. Right click Automatic Deployment Rules and then choose Create Automatic Deployment Rule, or click on the Create Automatic Deployment Rule button in the main toolbar. 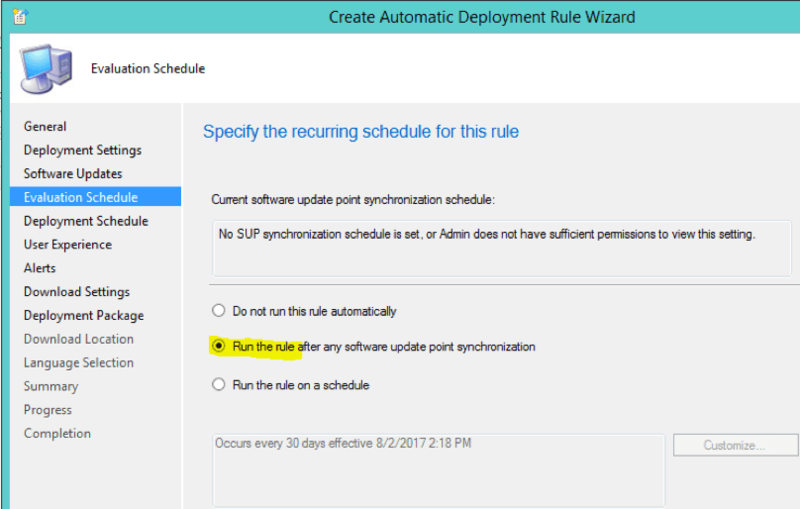 Create Automatic Deployment Rule wizard appears. 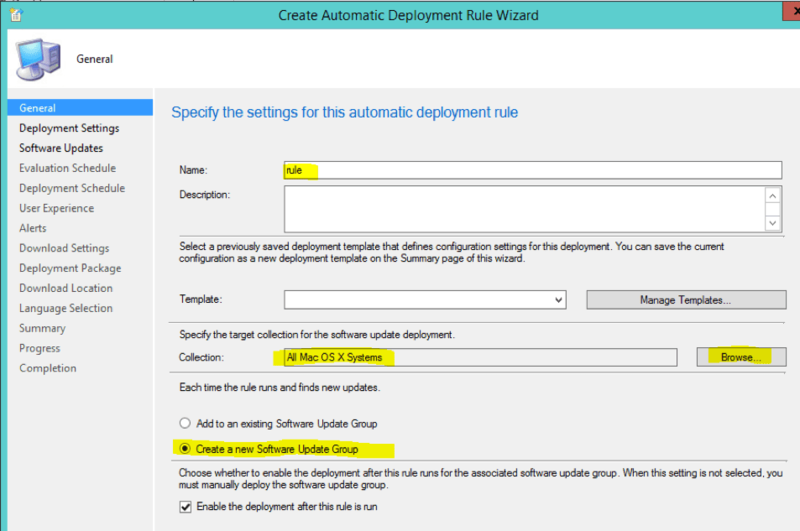 On the General page, enter the rule’s name, specify target device collection, and select the Create a new Software Update Group radio button. Skip the Deployment Settings page. On the Software Updates page, we get to choose product and severity for the rule (among many other things). For the Apple updates, the Vendor property must be set to Apple. The Evaluation Schedule tab allows the administrator to configure the settings for when you would like the SCCM Automatic Deployment Rule to evaluate available software updates. You should configure this schedule to run less frequently than your SUP synchronization runs. Skip Deployment Schedule, User Experience, Alerts, and Download Settings pages. 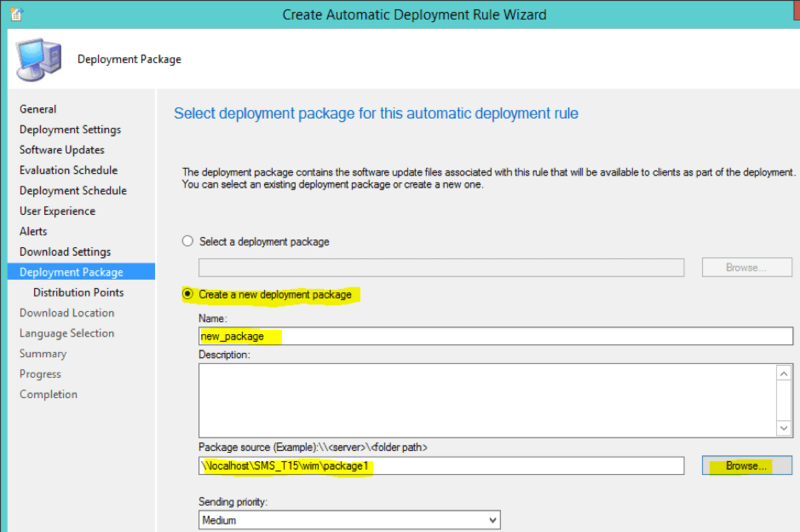 On the Deployment Package page, choose the Create a new deployment package radio button. Give the package a descriptive name and specify where you want the source files to be located by specifying the Package Source path (it must be an empty folder on a network share). On the Distribution Points tab, select the distribution points where you’d like the updates to be available from, and for the managed Mac computers to download from. You can choose individual SCCM Distribution Points or a Distribution Point Group. Complete the remaining Wizard pages and close the Wizard. The ADR you just created will run according to the schedule, which was configured on the Evaluation Schedule Wizard page. It is also possible to run a rule manually. 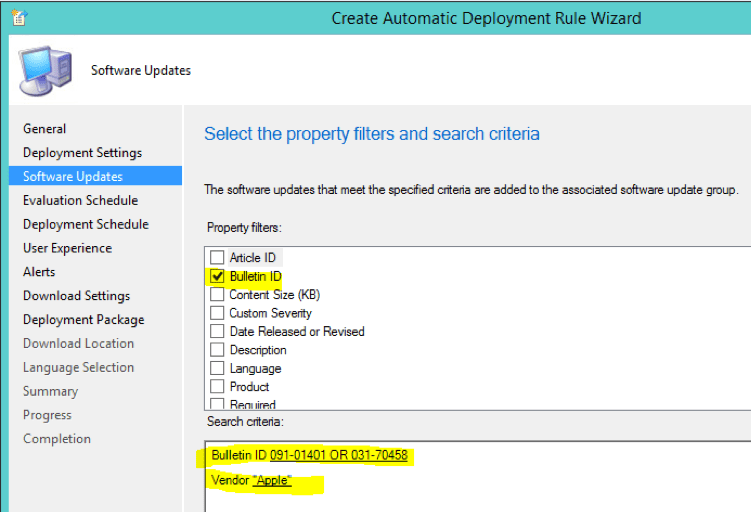 Select an Automatic Deployment Rule and click on the Run Now toolbar button. Switch to the Deployment Packages tree node and check that a new deployment package has been created. 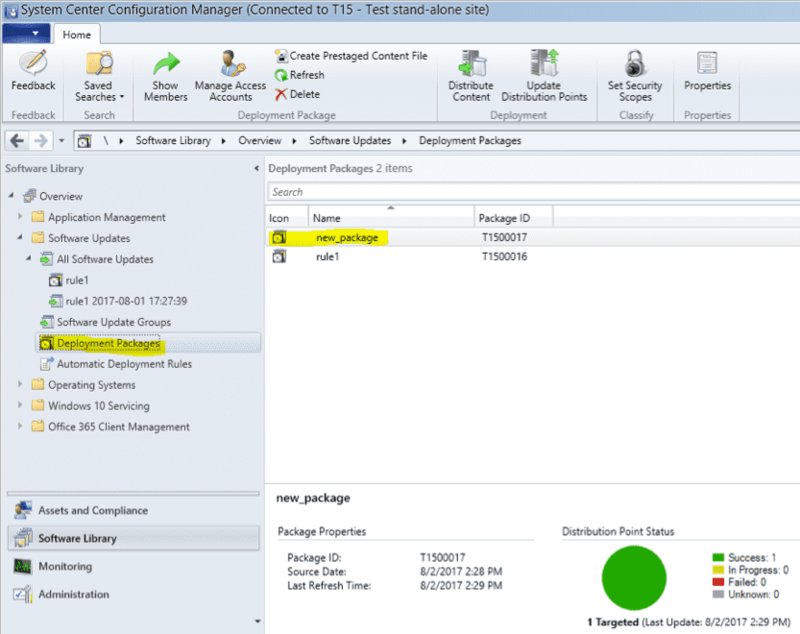 Switch to the Software Update Groups tree node and check that a new deployment package has been created. If you need to troubleshoot software update deployment, you should look at the log file called ruleengine.log. When a Mac managed with Parallels Mac Management receives a policy update, it will check if the policy contains information about software updates (the ones specified in an Automatic Deployment Rule). If there are software updates, Parallels Mac Client (a software that runs on all Mac computers that are managed in SCCM via Parallels Mac Management) will download and install those updates.